It has to do with a "Helper’s High." Helping others or “Doing unto others” could very well be one of the best things you can do for yourself. Turns out that being of service, volunteering to help an organization, a colleague or friend, offering to help not only makes you feel good, it is good for you. It can help you to live longer and happier! Endorphins, that wonderful brain chemical that gets produced when you are out there doing that three-mile run. It is what puts you into the state athletes refer to as a Runner’s High. Well, you can experience a similar feeling without busting a lung when you give someone a hand. 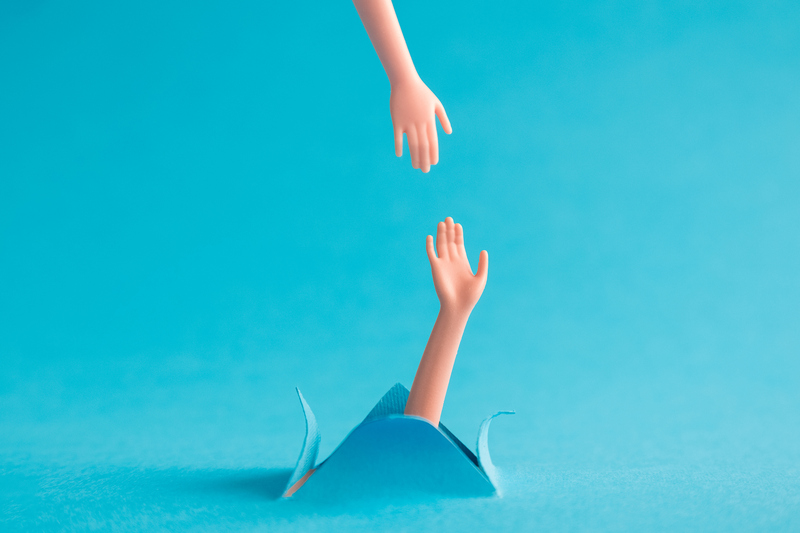 Though instead it is called Helper’s High—a euphoria that happens when you do charitable deeds, the psychological theory being that giving acts of kindness produce a natural mild version of a morphine high. Help can come in every size and shape, big or small. The size, or the amount, of help is not so much the point as is the gesture of genuinely wanting to help. The emphasis is on the “genuine” part. On the receiver end, when you help someone, that person picks up on, and is touched by, your heartfelt offer to help, no matter what it is for. They feel greater comfort and less stress. The giver or helper, in turn, experiences a profound sense of satisfaction, of joy, of delight, of happiness, which decreases their stress levels as well. Do this often enough, and it could add to your life expectancy. There is a relatively recent body of research on telomeres, the end-caps of our genes, which shows that long-term stress not only shortens these end-caps, it can also lead to an earlier death. So developing a positive emotional state, offering your time, a warm smile, an empathic touch, may increase the likelihood of you sticking around a while longer. Conversely, empty gestures get empty results. That is because people want to feel supported rather than feeling like they are putting you out, are being a burden. It makes them feel guilty. So ask how you can help? How do you want to help? Then, go out and get high on life.